New iPod Nano, Classic, & Touch! Earlier today (September 5th) at the Moscone Center in San Francisco, CA, Apple’s CEO Steve Jobs introduced a bunch of new products. Some of these include a new iPod Nano, iPod Classic (aka Video), and the iPod Touch. The new lineup (picture above): iPod shuffle, nano, classic, touch, & iPhone. As we are heading backwards though the keynote, the last item Apple touched on was the iPhone. Since the 8GB iPhone was so popular, the price has now been dropped to just $399, which is a $200 price-cut (originally $599). As for the 4GB model, it will no longer be produced or found in stores. The 8GB iPhone will be available at it’s new price online and in Apple and At&t Stores. A new update will also be available soon, which will include support for the Mobile iTunes Store. The ‘touch’ looks quite similar to the iPhone, has just about all the features, and even features an almost duplicate multi-touch interface, but doesn’t have a the “phone” part. The unit uses a 802.11b/g WiFi signal instead of the 2G At&t network for all its communication needs. 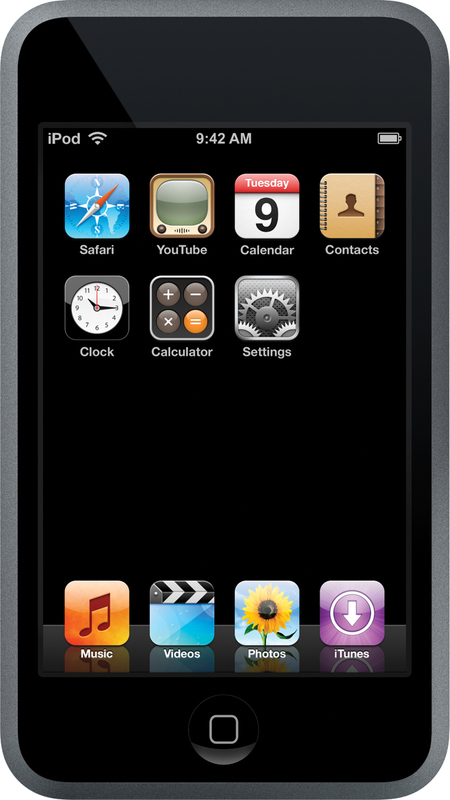 Just like the iPhone, the iPod Touch has a Safari browser with built in Google/Yahoo search. Plus while connected to a hotspot or home network, the ‘touch’ allows browsing and playing YouTube content and even purchasing and downloading new songs on the go with the new fully fledged iTunes WiFi music store. 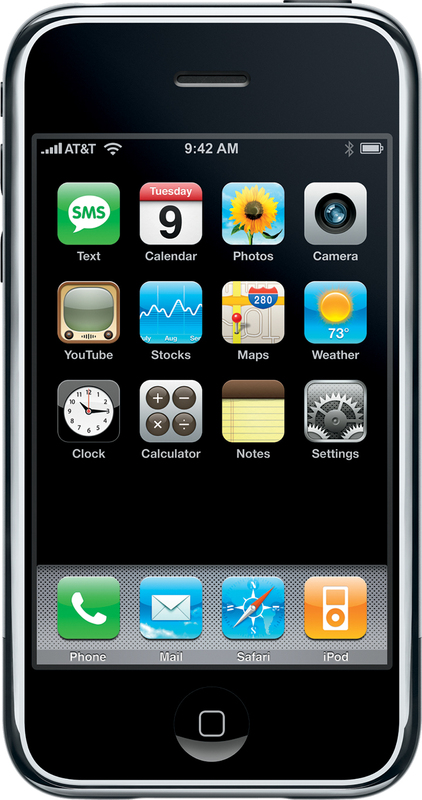 The iPod Touch sports a 3.5-inch widescreen display for music, photos, videos, album art, coverflow, web browsing, and features an accelerometer to detect the unit’s upright or landscape orientation. With an ambient light sensor, battery life is conserved by adjusting the brightness to the unit’s surroundings, in result offering 22 hours of music and 5 hours of video playback. The iPod Touch will be available later this month (no exact date set just yet) in capacities of 8GB and 16GB priced at $299 and $399 respectively. The iPod ‘Classic’ is the successor to the iPod Video. This 6th generation iPod is available in capacities of 80GB and 160GB!, but both models remain slimmer than the previous lineup. 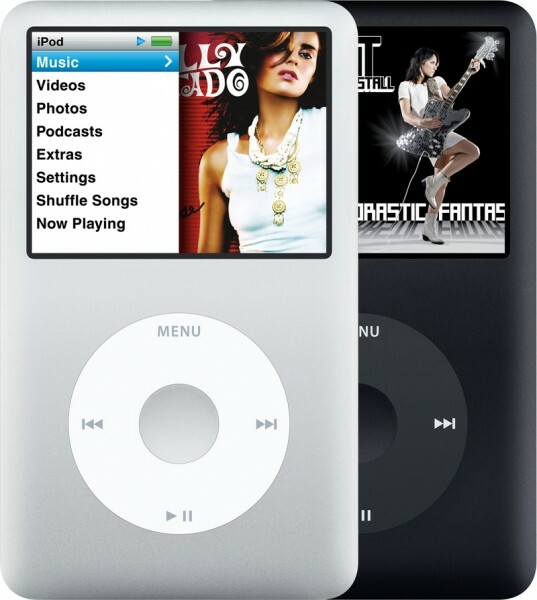 The iPod Classic is enclosed in a all new metal-case and has a new interface featuring CoverFlow. Users may now browse content on one half of the screen, while the other half continues to display media. The battery life is also a huge improvement, offering 40 hours of listing to music and 7 hours of watching videos on the 160GB model and 30 hours of music and 5 hours of video on the 80GB. According to Steve Jobs, new games are heading to iPod Classic soon (everyone gets 1 FREE game). Both the 80GB and 160GB models, which come in silver and black, are available as of now for $250 and $350, respectively. Apple also displayed the completely revamped the Nano during the keynote. 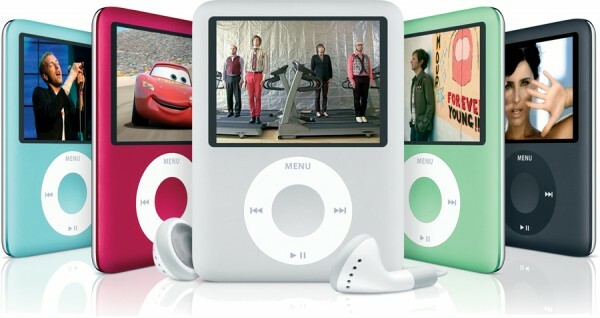 The unit, which now looks more like an iPod video, can in fact now play videos, movies, TV shows, and music videos! Nano users can also utilize Coverflow to browse through their library or even play purchased games from iTunes on their bright 2-inch display. The battery life remains at about the same level as the previous Nano, offering 24 hours of music playback or 5 hours of video in this case. Just like the iPod Classic, the Nano too is enclosed in an all-metal stainless steel case. As seen in the image above, the Nano is available in 5 colors. The unit is available TODAY in capacities of 4GB and 8GB costing $149 and $199, respectively. Apple’s smallest family member, the shuffle, remains the same. Instead of introducing a 2GB model as some had anticipated, Apple simply spray painted the same 1GB models with some new colors, one of which is Product (RED). Some rumors indicate a black shuffle with 2GB could still be around the corner. During the keynote, Apple introduced the new iTunes WiFi store which allows iPhone and iPod Touch owners to download songs directly onto their device when connected to the internet. Songs which are purchased on the go can be synced back to a computer or be re-downloaded. The best part, the pricing on the mobile store is exactly the same as what is available on regular iTunes. This will give Apple a big advantage over other cell providers such as Verizon and Sprint who charge extra fees for mobile purchases. For an additional $.99 a custom 30 second clip from a song can be converted into a ringtone for the iPhone. As for iTunes, version 7.4 will be available soon with plenty of new features. i just bought the 16gb on amazon. it says 2-4 weeks!!! cant wait 2 get it!!! save an ipad of course. I heard they DON’T sell iPod nano 3G, anymore?? do they sell iPod nano 3G ANYMORE?? because of the new version the 4G. any suggestions were they still sell it?? which ipod is the best ipod nano or ipod cLassic?? i like totally love the new ipod touch!!!! !